On this day, the 16th Ohio with its brigade, continued its journey down the Mississippi River and reached the village of Carrollton, on the outskirts of New Orleans, about 8:00 p.m.. The regiment remained on their boats during the night. 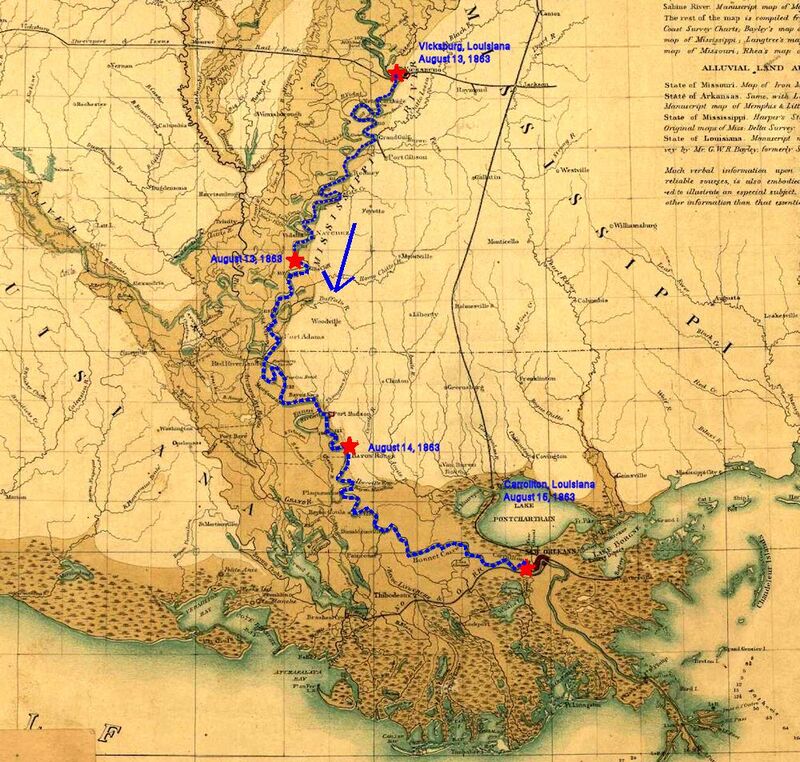 The boats passed Port Hudson, Natchez and Baton Roughe, and on the night of the 15th reached New Orleans. Period map showing the approximate route of the 16th Ohio from an estimated point on the Mississippi River to their destination of Carrollton, Louisiana, just west of New Orleans, on August 15, 1863. Modern day map showing the approximate route of the 16th Ohio from an estimated point south on the Mississippi River to their destination of Carrollton, Louisiana, just west of New Orleans, on the night of August 15, 1863. It should be noted that the Mississippi River has changed course many times in many places since 1863. 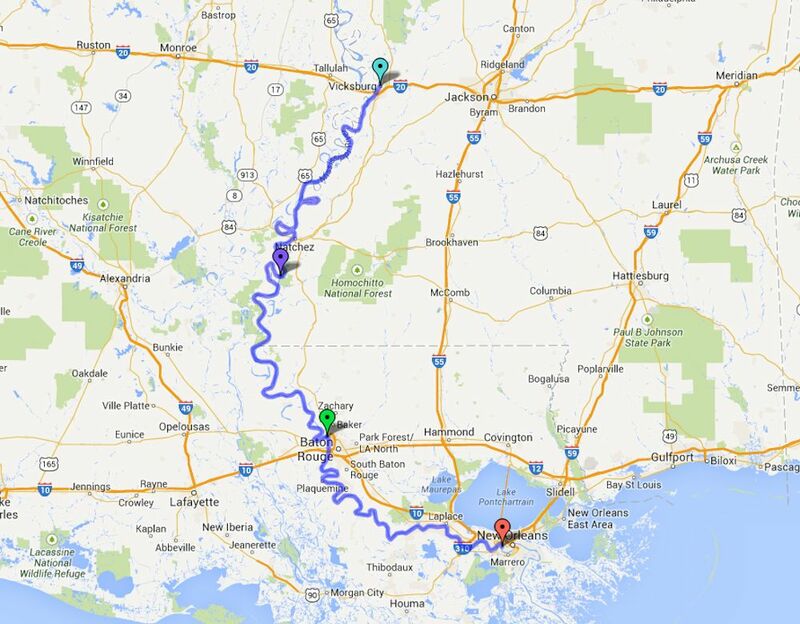 The route shown follows the border between Louisiana and Mississippi, assuming the border originally followed the river which has since deviated. Aqua pin - Approximate location of the 16th Ohio's campsite at Vicksburg, Mississippi, from July 30 to August 13, 1863. Purple pin - Estimated point reached by the 16th Ohio on the evening of August 13, 1863. Green pin - Estimated point reached by the 16th Ohio on the evening of August 14, 1863. Red pin - Carrollton, Louisiana, where the 16th Ohio arrived on the evening of August 15, 1863.